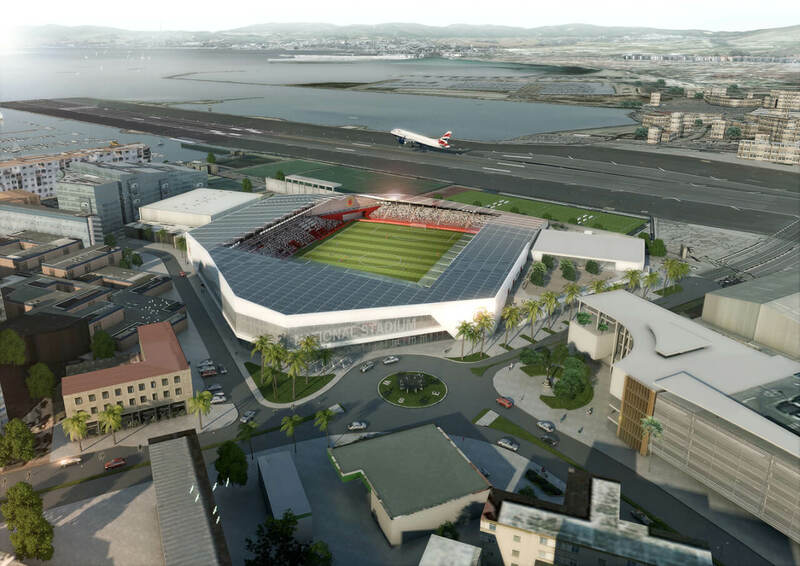 The outline planning application for the proposed new Gibraltar National Stadium which was submitted on the 21st of June, was approved by the Development and Planning Commission today. The proposal for there new stadium, which was developed by The Stadium Consultancy in collaboration with Ramboll, was unanimously approved by the DPC. Construction works are expected to start in August 2019. Ben Veenbrink, maning director of The Stadium Consultancy, was interviewed for GBC TV after the DPC meeting.